Selsey and District Lions are always looking for new members, male and female, young and old to join an active and enthusiast team, who have common interest in helping the community while at the same time enjoying a good social life. 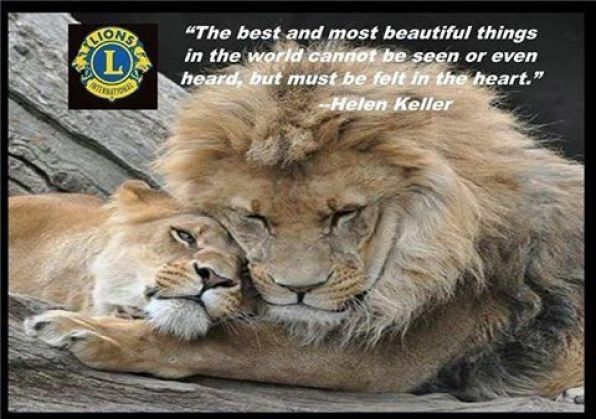 If you are interested in finding out more about our activities or are thinking of becoming a Lion we would love to meet you, so why not come along to one of our meetings at the Selsey Club in Coxes Road, now held on the 2nd Monday of each month, telephone Lion Colin Rickman on 07710 405011 for further information. Members of the world's largest and most active service club organisation. Men and women who believe that by working together they will accomplish far more than would be possible as individuals. People who cherish the fellowship of their own Club, but who also feel a close kinship with Lions in over 200 countries throughout the world. Individuals dedicated to maintaining the highest ethical and moral standards in their Club - and in their personal lives. People who are serious about their commitment to humanitarian service, but have fun along the way. We cover all costs from our own dues, ensuring that all donated funds go to the causes. Transparency and accountability operate at every level; in fact, The Financial Times has ranked Lions Clubs International Foundation the "best among non-government organisations worldwide with which to work". We are proud that our organisation is now century old, and that it has a distinguished history of doing good works for the world. Local communities respect and trust their clubs, both because those clubs are made up of neighbours and friends who have a long record of support, and because of the Lions Clubs International name and legacy. We have fun in our clubs. And when we meet fellow Lions for the first time, we treat them like old friends. For more information: http://www.lionsmd105.org/ Lions Clubs International is the world's largest service club organisation with 1.3 million members in approximately 45,000 clubs in 205 countries. Lions are men and women who volunteer their time for humanitarian causes. Founded in 1917 by Melvin Jones, our motto is "We Serve". If you are new to Lionism, through these pages you will be able to find out about the work of the international organisation of Lions and our Lions Club in particular. Would you like to join Friends of Lions and help us with some of our events? Service to the Community Fundraising Christmas collections or maybe join us for a social evening.